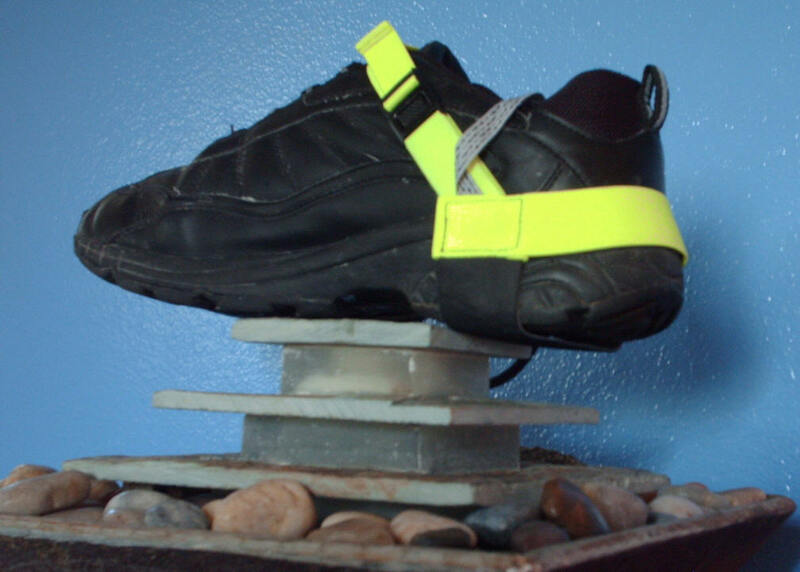 This popular esd heel grounder makes it EASY for supervisors to make sure employees are wearing their heel straps. Long lasting, highest quality and the webs best price from United Static Control Products! Our popular high visibility day glow yellow esd heel straps feature a quick release snap on the easy to adjust stretch material that runs across the foot. Results: GREAT fit, fast deployment and comfortable too! Our heavy duty scuff resistant two layer conductive rubber heel cups are textured for anti slip protection. THESE heel straps LAST and meet the most stringent latest specifications. QUALITY hypoallergenic conductive ribbon provides reliable long lasting performance while our double stitching techniques and an internally molded 1 meg resistor provide long lasting security and protection. A perfect replacement for 3M 2051's or other similar style straps at a FRACTION of the cost provided by the high overhead big boys. 1) The straps are placed over the heel of the shoe as to position the black portion of the strap down (to make contact with the floor). 2) The buckle on the top portion of the strap is adjusted for a comfortable fit. 3) The conductive gray ribbon is tucked into the sock or placed between the sock and the shoe. 4) To remove the strap simply unsnap the quick release snap. No need to adjust every time.